Ordering Website | Ordering Online System | The website with your brand. Multi-stores website, template totally customizable, design with simple settings, ordering specialized features, multiple payment gateways. Supports any kind of stores. No matter what device your customers are using to purchase from your site, it'll look great. 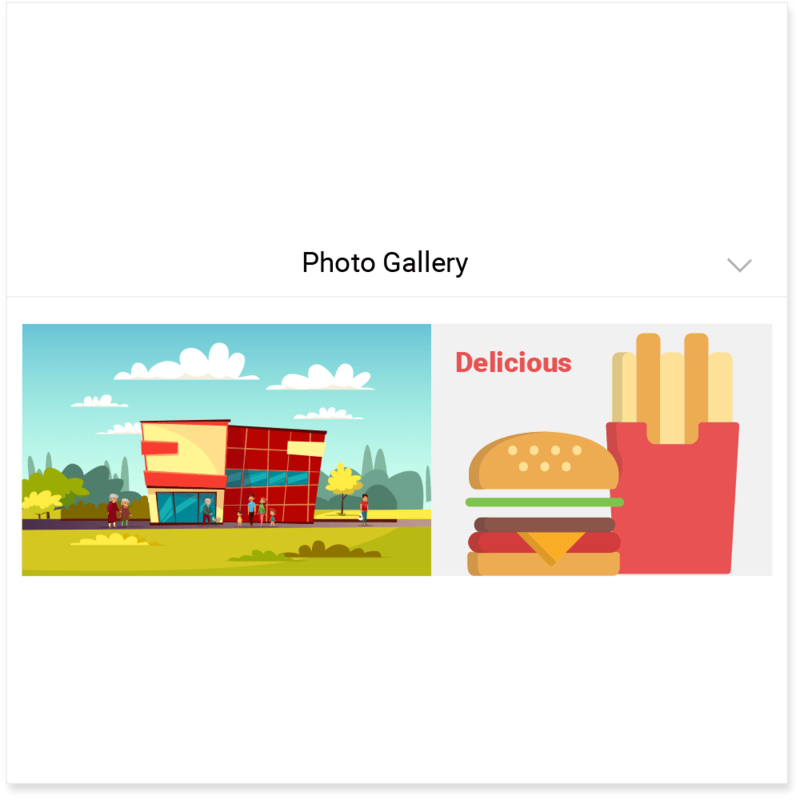 Everything can be sold on this platform; you choose the business category each store belong. 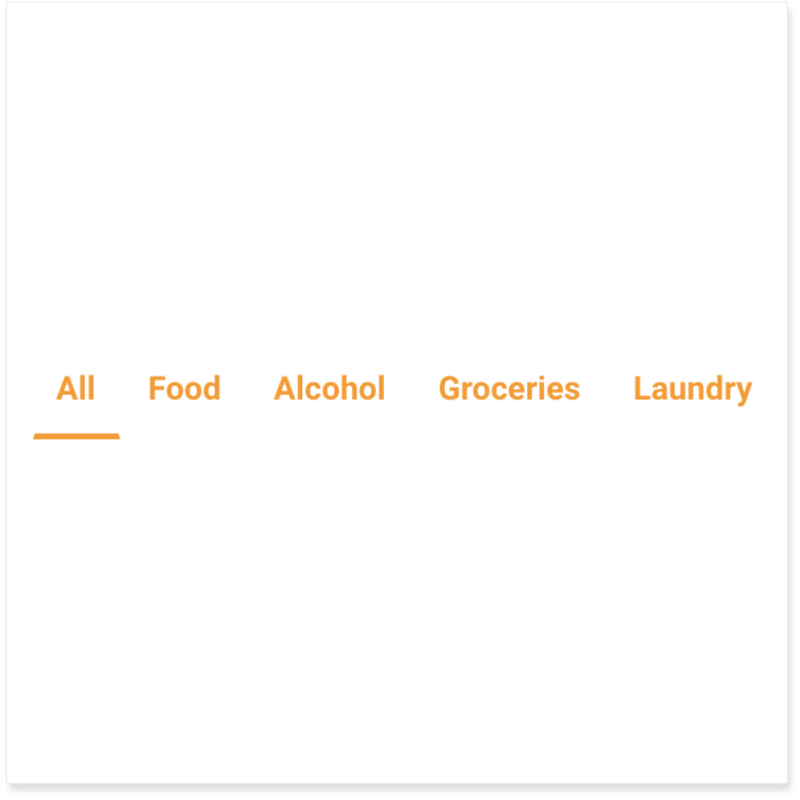 By selecting delivery or pickup and your address, stores will show, choose your favorite. 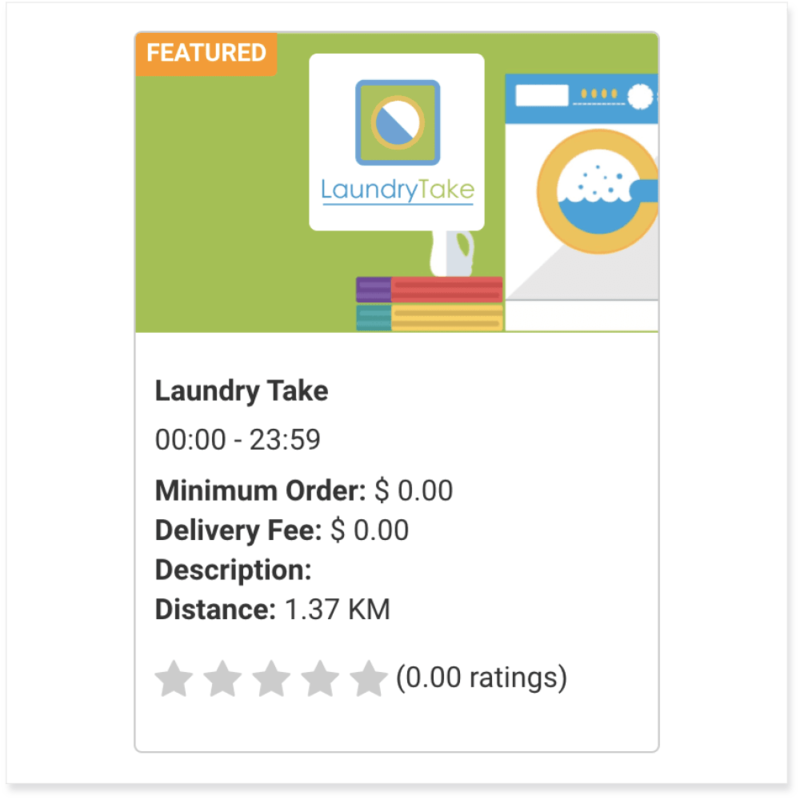 Show detailed information of all your stores in a simple & elegant design. 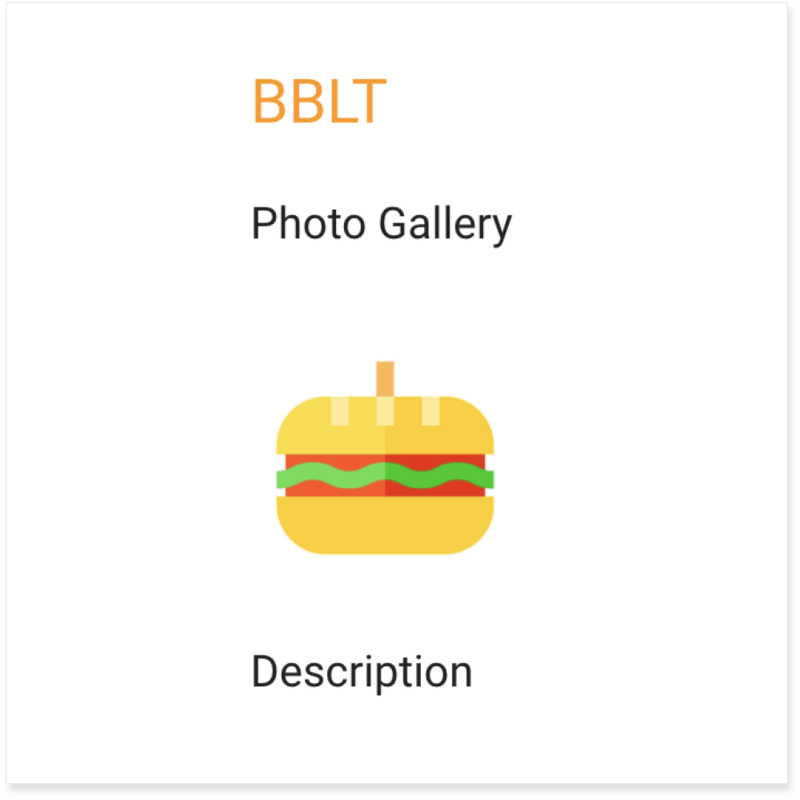 Take good photos of your products and show them properly. Customers love that. 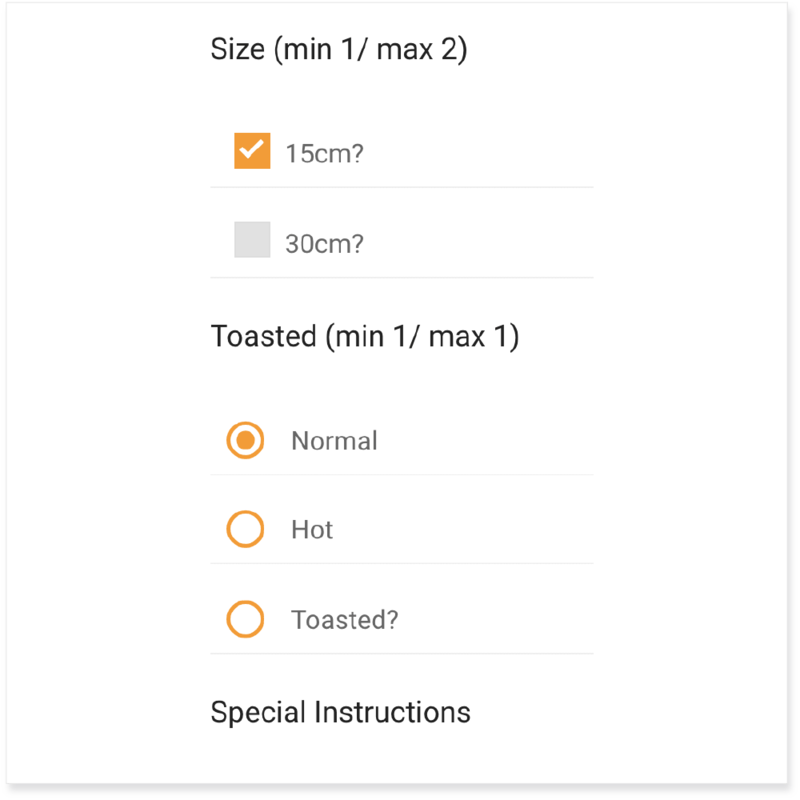 Add product categories like sizes, ingredients, more cheese, or anything you need. Check all your order details before continuing to checkout & pay. 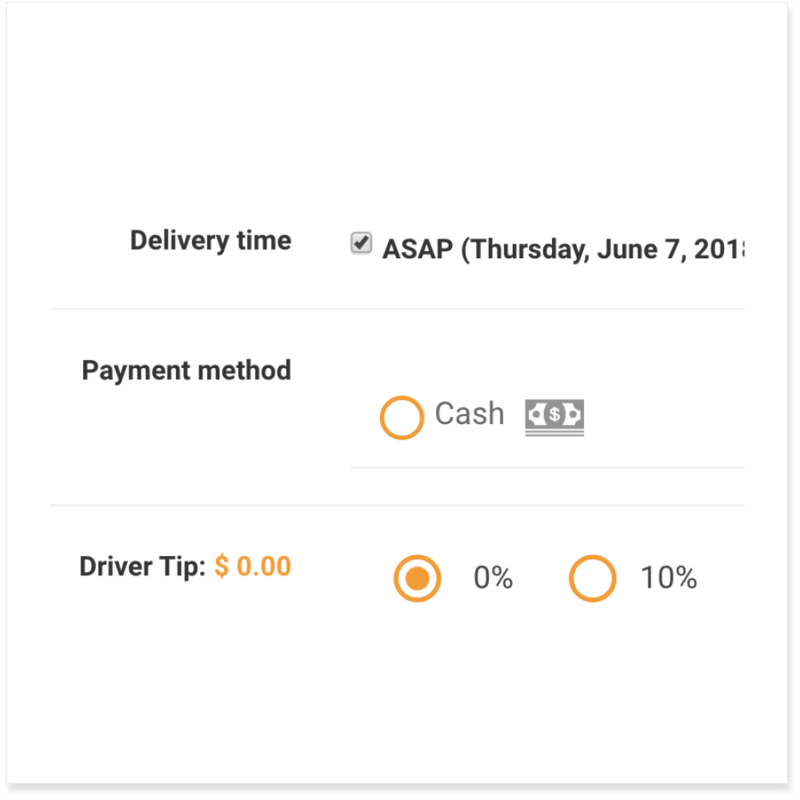 Provide the best experience, allow them to set up time for delivery, payment method & driver tip. 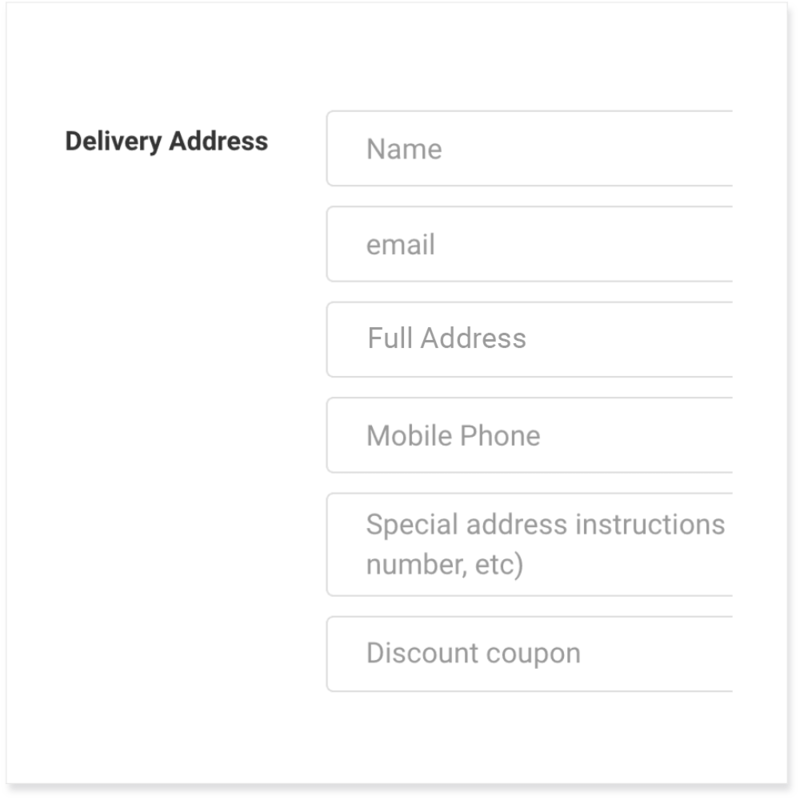 Ask for specific details to your customers to get the order delivered right. 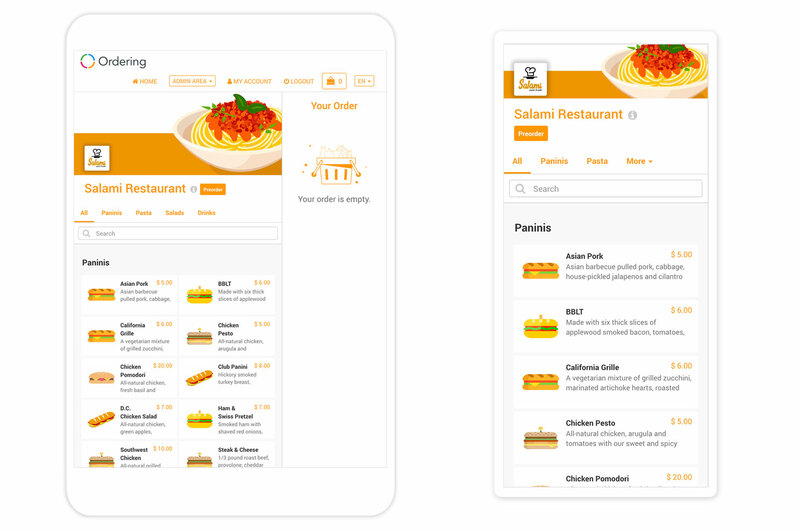 Allow your customers to order in advance to any of your business, all they need to do is select the date & time of delivery, you get the order in your Orders Manager and that's it, are you ready to get a lot of orders? This menus are set up by you in the admin side, days and menus this option will be available, it’s your call. If there are some days that you can’t do pre-order yet, be sure your menu does not have it. Time of delivery of course, no one wants to eat a burger at 3am, or do they? 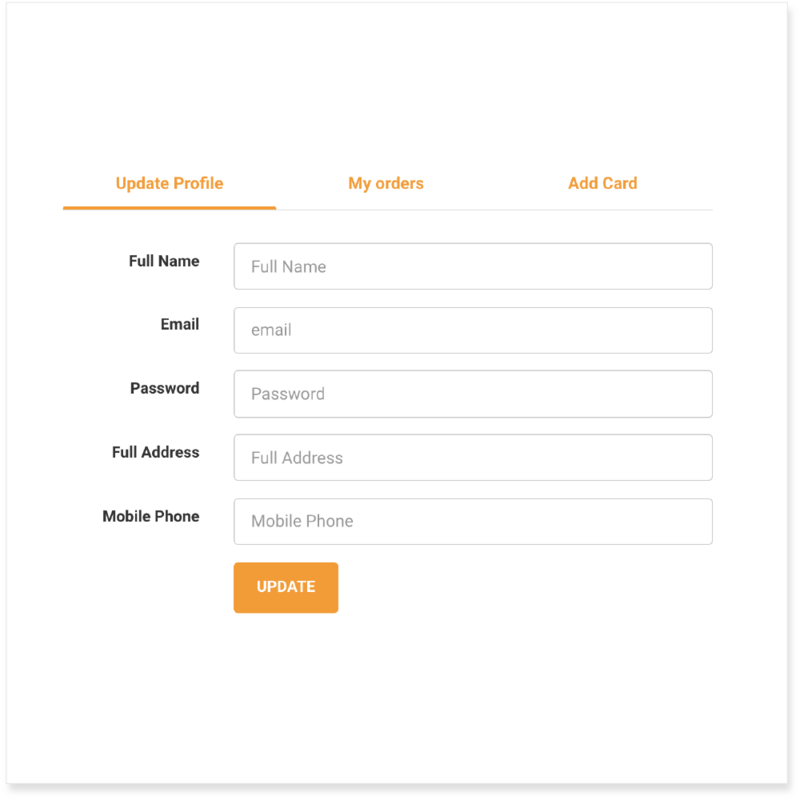 Allow your customers to place orders in advance. 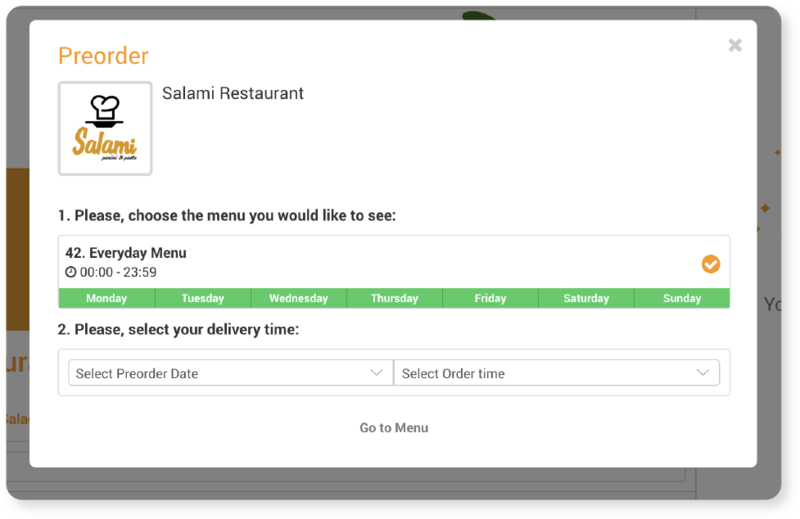 All they need to do is select the date & time of delivery, you get the order in your Orders Manager and that's it! Are you ready to get a ton of orders? 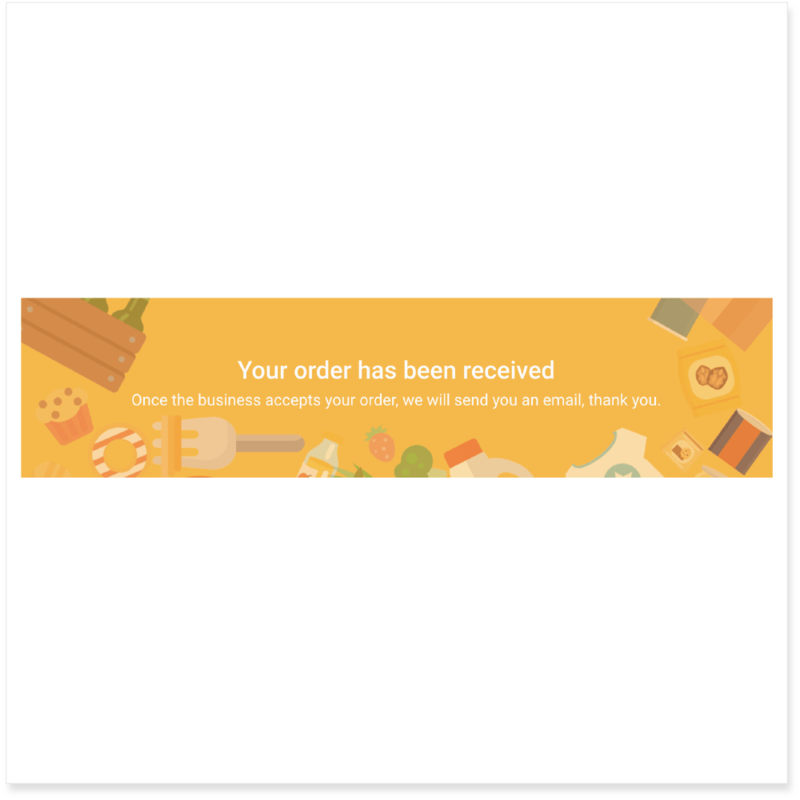 When the order is completed, customers see this screen. Image can be changed. 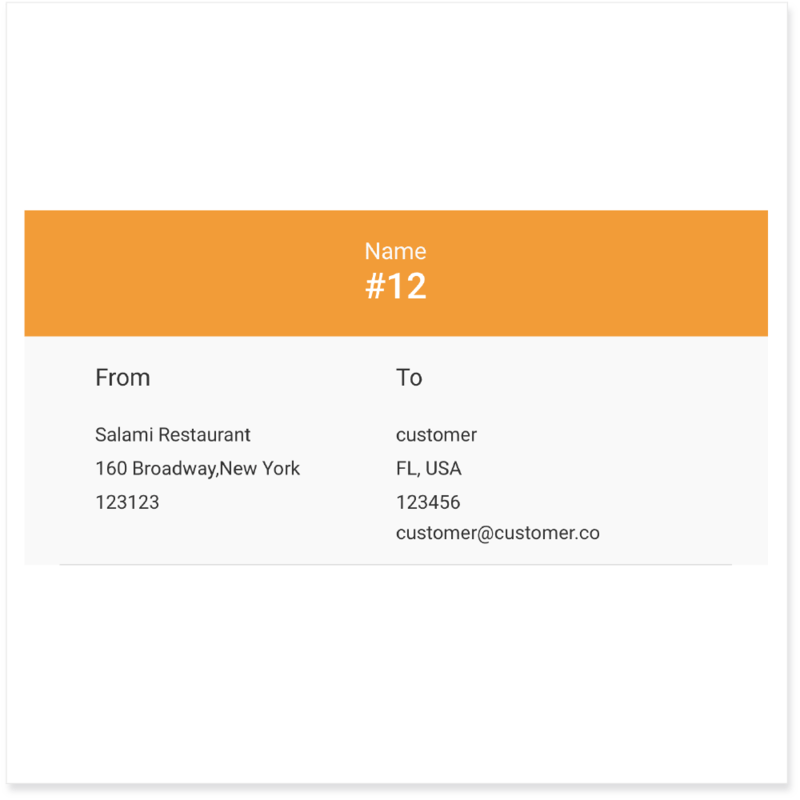 Give your customers a number of order, this way they can track it after the purchase is done. 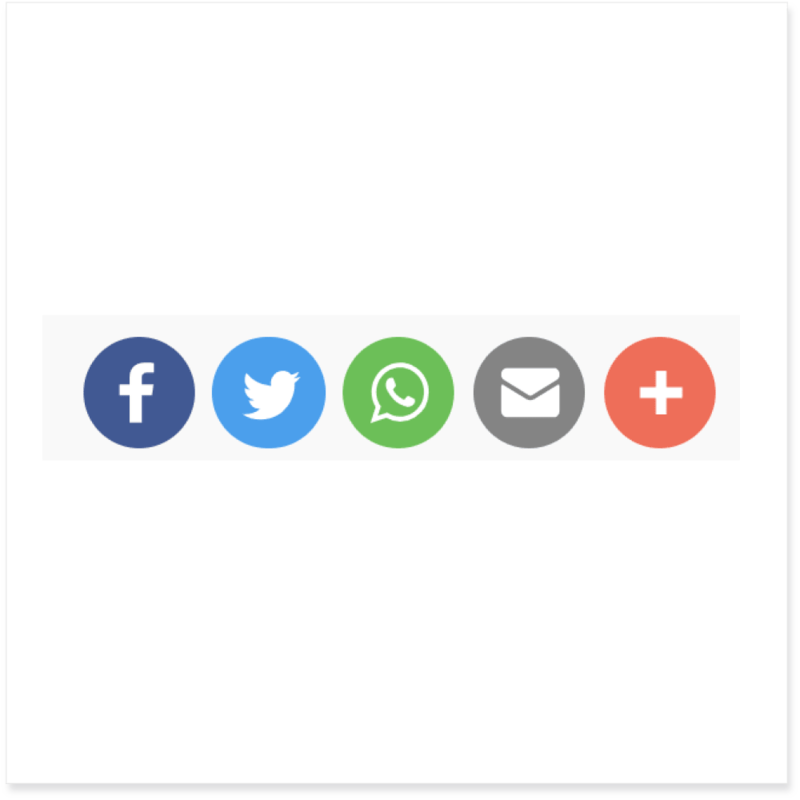 Share order on all the social media in just a few clicks, do some marketing with that. Allow your customers to manage account details, update password & name if needed. We like to read about a product before a purchase; you do the same? If you do, this feature will blow your mind. 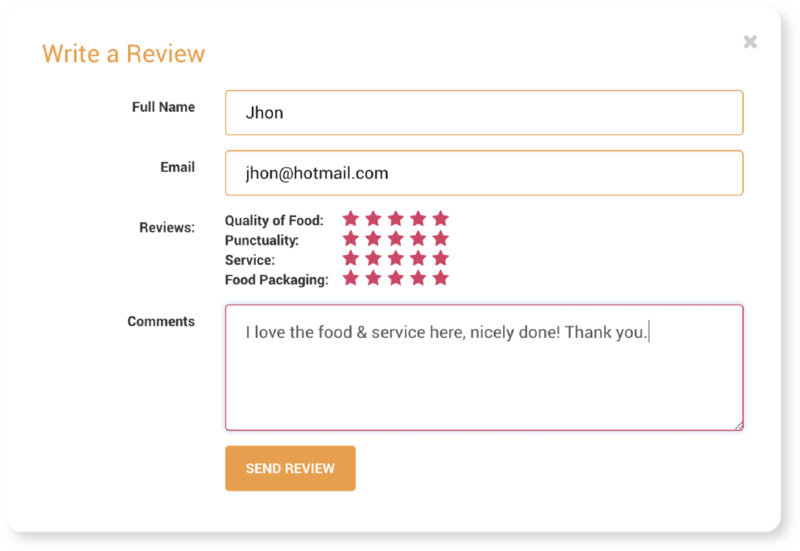 With reviews on orders, all your customers are able to see what other customer think about your stores, make sure you get a bunch of good reviews. It won't matter what language you need, we have it ready for you, start selling in your country. 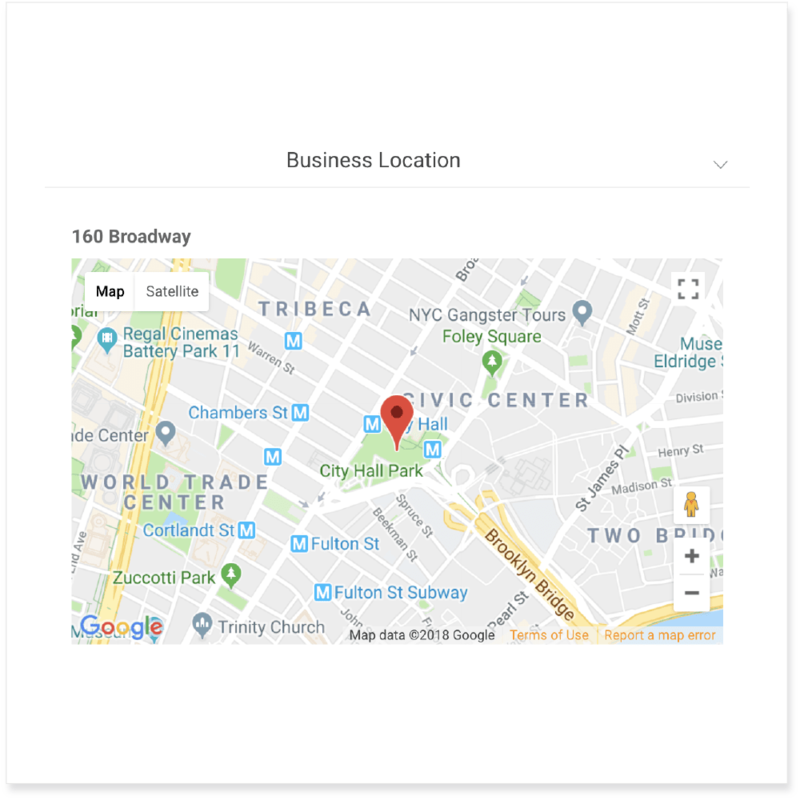 Keep every customer updated about your location, this gives your customer more security when ordering. Some good images are nice at the time of making a deal with all your customers, show your business right. 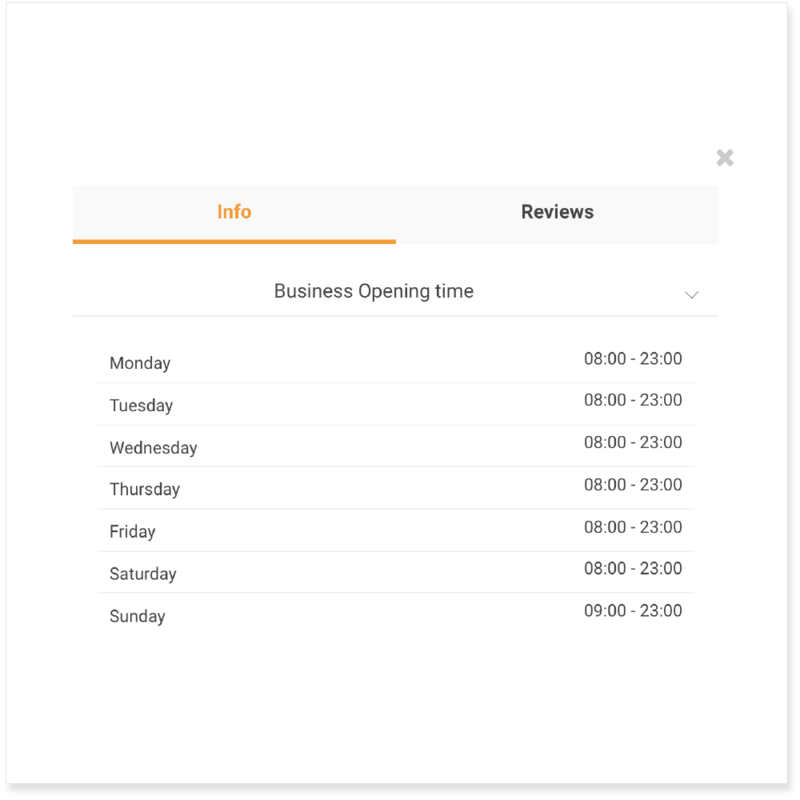 Each store might have their own schedules, show them to avoid confusion. 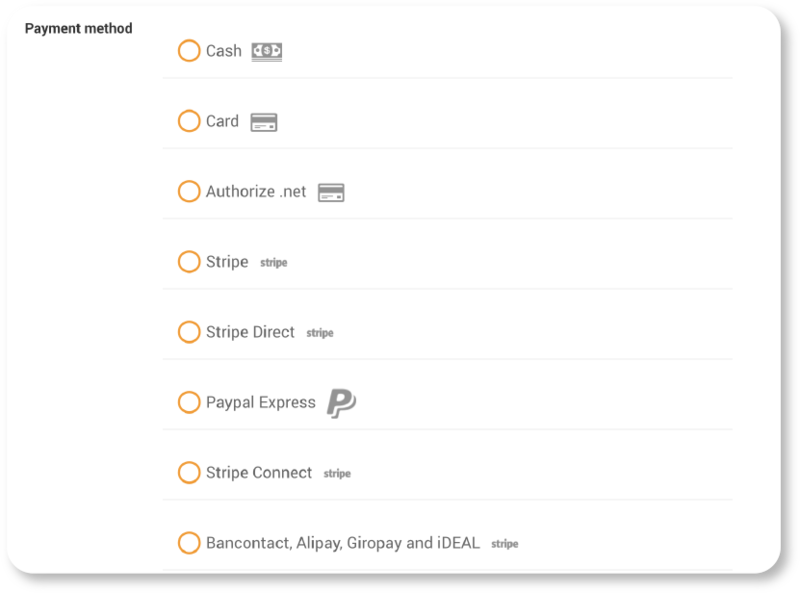 Because all the businesses are different and have different needs, we have added several options to get the money in your pocket, the most used platforms you'll find PayPal, Authorize.net, Stripe & more. If you need another custom payment gateway, we can add it for you of course. Wondering how will you manage your Ordering Website? 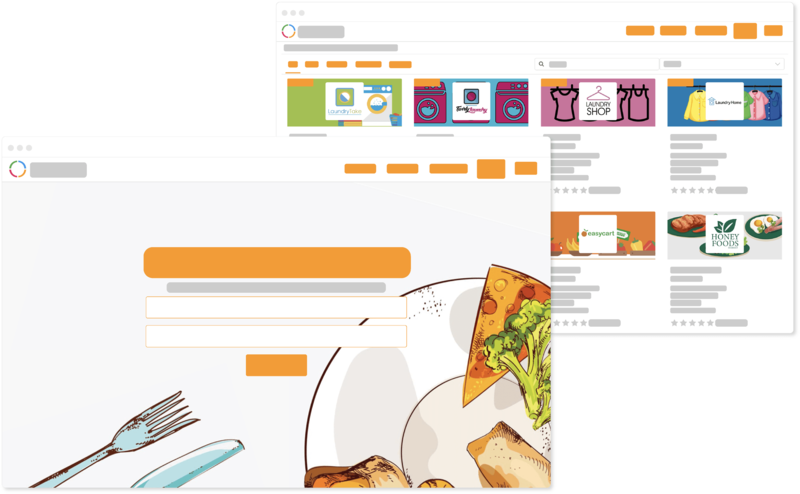 Discover Ordering Editor! 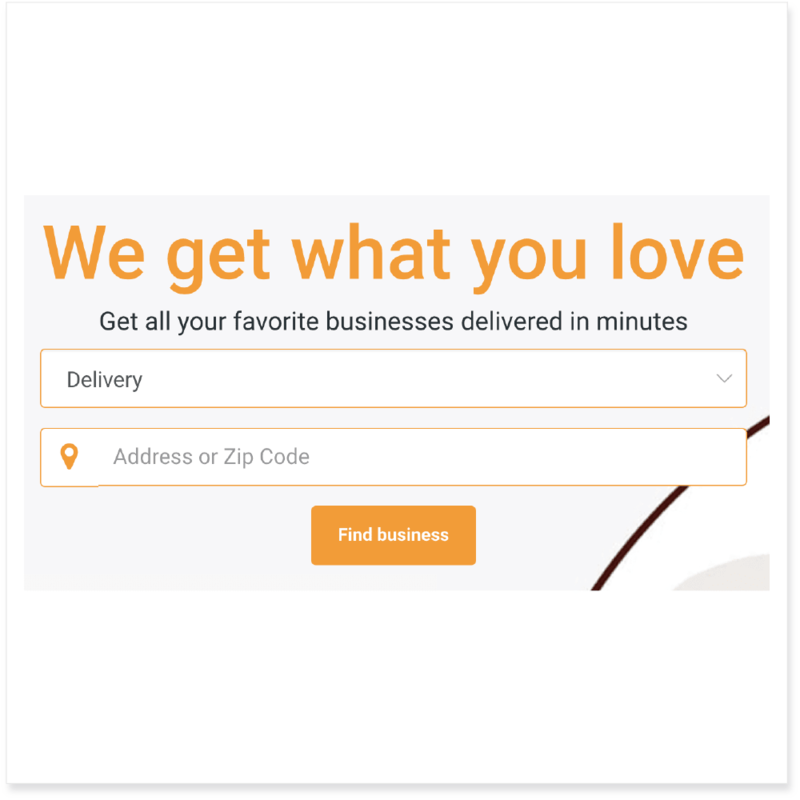 Your one-stop solution to manage your Ordering Website. 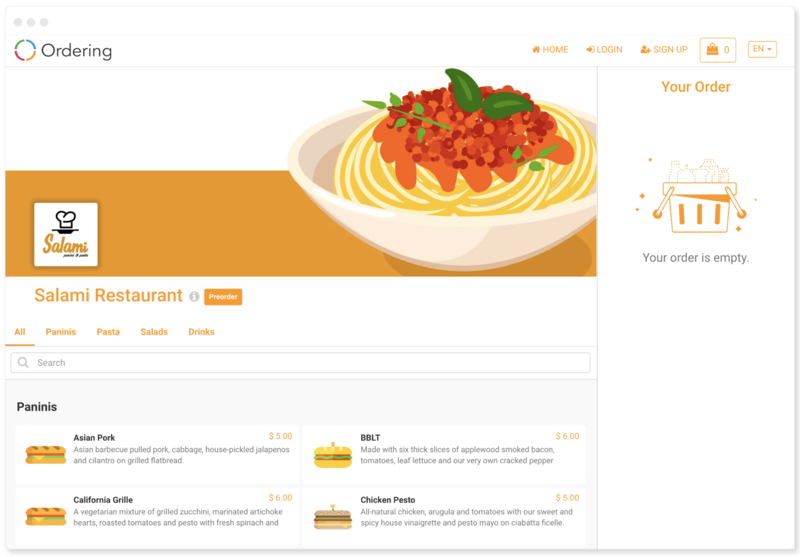 Can I use my own domain for my Ordering Website? Definitely. Your Ordering Website can be set up with a domain of your property. As long as there is an internet connection in your city, you are all set to start selling online. 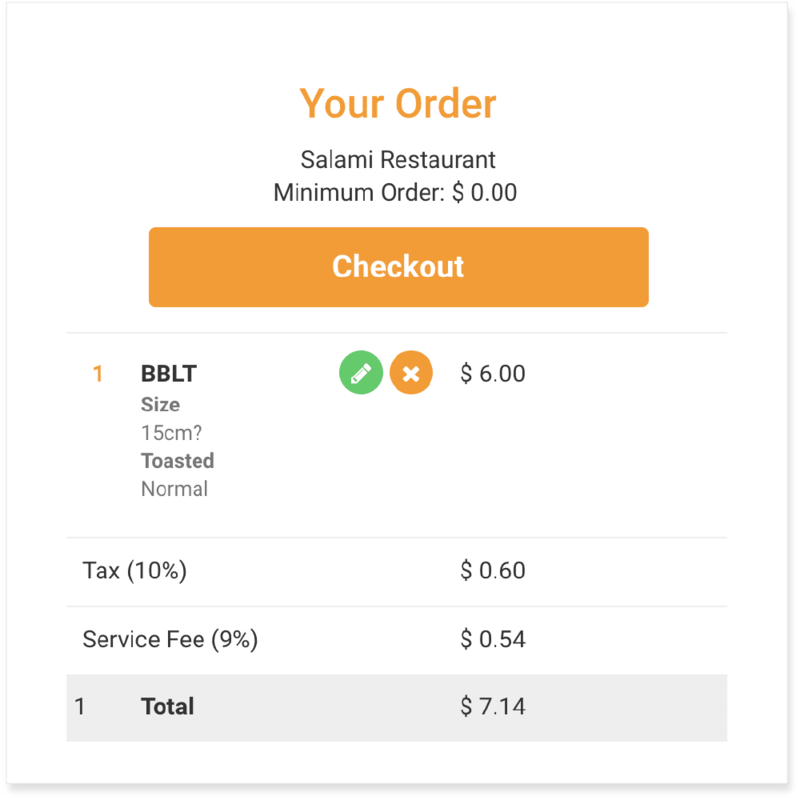 Are there any fees for orders placed by customers? No. We don't charge anything from orders or hidden fees. Everything is crystal clear. What if I want to cancel, how does it work? You can cancel your installation at any time. If you are under the 15 days money back guarantee, you get a full refund. Can customers track the progress of the orders they've placed? They can always keep track of the order status in the website. They get email notifications as well. Can I change the website design? Yes of course, we offer a special service to give your site that feeling that you need, click here for more information. Is there a limit to the amount of users my Ordering Website can have? There is no limit, you can have as many as you need. What language does this platform support? 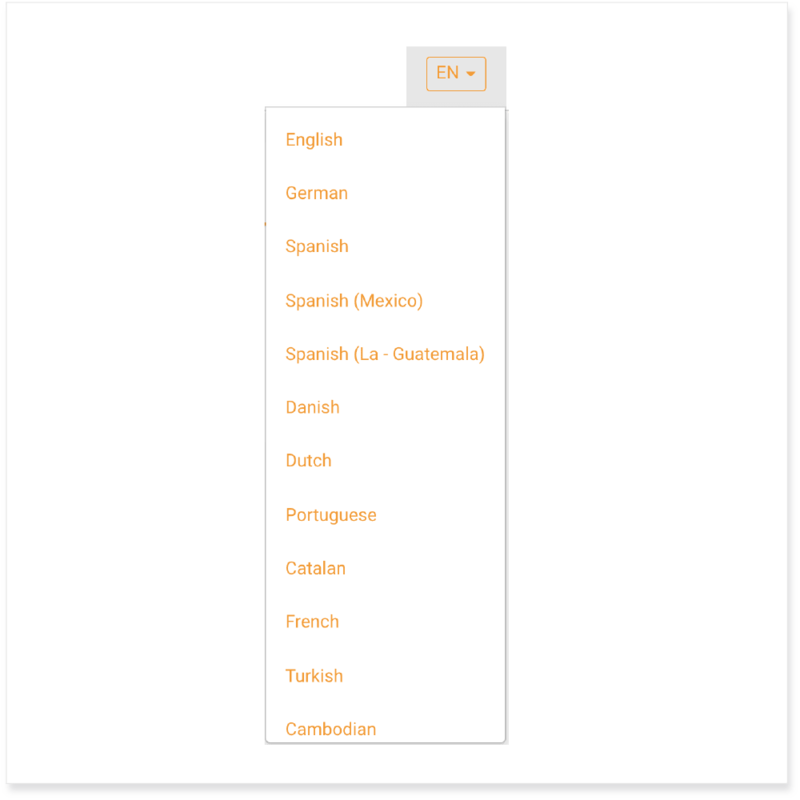 All the languages in the world are supported on the platform. If we don't have it, we will install it for you. Nope, hosting is already included in your installation. Under AWS your site is covered (Amazon Servers). How many online stores can an Ordering Website host? It can host as many businesses as you like.